Leading tour experts in Vietnam, Cambodia, Laos since 2003. How we make the different ?. & How we promise for your travel ?. Our tour leaders and guides are all the locals to the area and are therefore able to provide an inside view of their home country. Local guides are at your service in every destination to add in-depth information on the history and culture of the area. They are there to share this knowledge with you. We promise you the highest levels of service and care. Our travel consultants are trained to provide you with all the assistance you require as you prepare for your journey. On our programs, you are immersed in the life of the region you are visiting. Meet the People exchanges and insights provided by local experts add a stimulating dimension to your experience. Designed for those who desire a more independent travel experience, combined with the support of our on-site staff, Our innovative programs offer flexible programming at an exceptional value. Our trips are luxury, private, flexible and tailor made. We offer a wide range of tour packages. We take pride in tailor made holiday and are able to come up with interesting program for friends, school groups, societies, honeymooners, associations, especially for families. We have established great working relationships with regional suppliers, transportation agents, hotels and resorts across Indochina. We are always in great position to give our valued travelers the best offer. When you contact ACT Travel, we'll allocate you a 24hr, 07 day personal tour operator. ACT’s Team will work with you to design your itinerary and make the necessary arrangements, keeping you fully informed at all stages. From your arrival in Vietnam to the time you leave, your tour operator will monitor what is happening and re-check arrangements in advance to ensure that every element in your holiday runs smoothly and effortlessly. We know that your accommodation, Sightseeing, Cuisine are the most important features of your trip. Part of what makes ACT Travel, stand apart from other tour companies is our expert knowledge of the hotels and resorts in Indochina. Each destination in any of our tours, each hotel that we recommend and each sightseeing tour we have selected is only included after careful evaluation of how much each of these components add to the total value of the package and to the total experience of the travelers. All itineraries are planned with up-to-date information on the destinations and designed with your comfort and enjoyment in mind. Our recommended restaurants are of long standing experience and fame in catering tourists. Their foods are not only authentic and good value for money, but like no other also. We guarantee your money back. Our goal is your satisfaction. If you are not fully satisfied with our services, we guarantee your money back. Our ACT team greatly believes we can offer you the best value for your money. We are committed to long term tourism services in the Indochina region. The information about countries that we provide will be as up-to-date, accurate and objective as we can make it. Although we are very proud of our countries, we're also honest. If something isn't as good as it should be, we'll tell you - we don't want you to be disappointed. Top reasons to travel with ACT Travel. 1. We are one of the leading local tour experts in Vietnam, Cambodia, Laos for over 10 years. We know about Indochina as you know your ways to home. 2. We have over 250 exotic and exclusive tour itineraries in Vietnam, Cambodia and Laos available for your choice. If you have an itinerary in mind that does not appear in our brochures, we would be pleased to customize it just for you. 3. Various choices to exciting destination. All itineraries are planned with up-to-date information. 4. We have been awarded dozens of valuable prizes for what we have done for the tourism industry and the people in the places where we bring tourists to. 5. We not only introduce Indochina's most beautiful landscapes, interesting cultures but also offer tourists to interact with local people and experience their daily lives during their trip. This will help make your trip more attractive and impressive. 6. 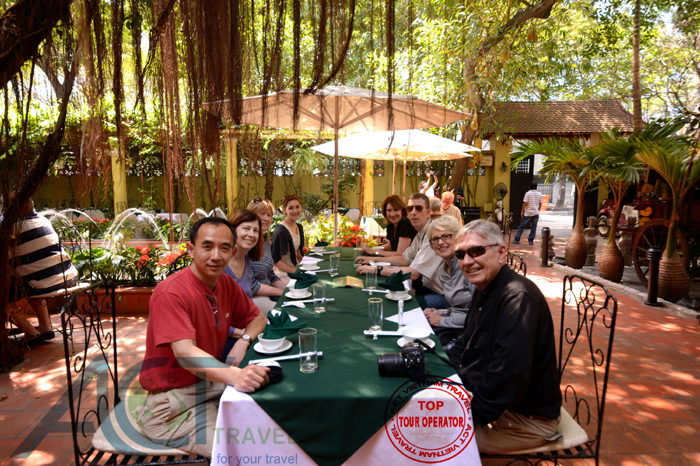 Our superb guides speak terrific English, French, Chinese, Japanese, Spanish, German and etc. They are strongly dedicated to ensure that you enjoy your travel with us. 7. We are the wholesaler for many well known Hotel Groups in the world such as Raffles, Intercontinental, Accors, Sheraton, Marriot, Hilton...Therefore, we can offer you the most competitive accommodation rates. 8. With our minded slogan “A Promise for your Travel”. If you are not fully satisfied with our provided services, we guarantee your money returned. 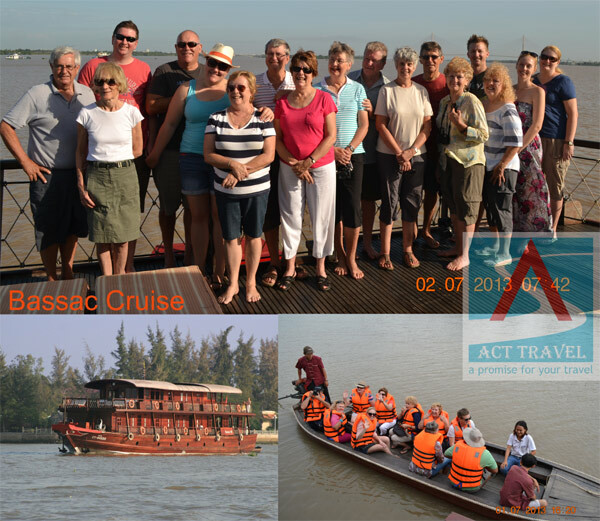 ACT Travel team strongly believes that we can offer you the greatest value for your money. 9. We are proud that 98 % of ACT Travel’s customers are satisfied with our services. All our clients choose us when they come back to see these countries. Besides, we have an increasing number of new clients who know us via their friends or relatives. 10. We support online for our travelers 24/7/360.